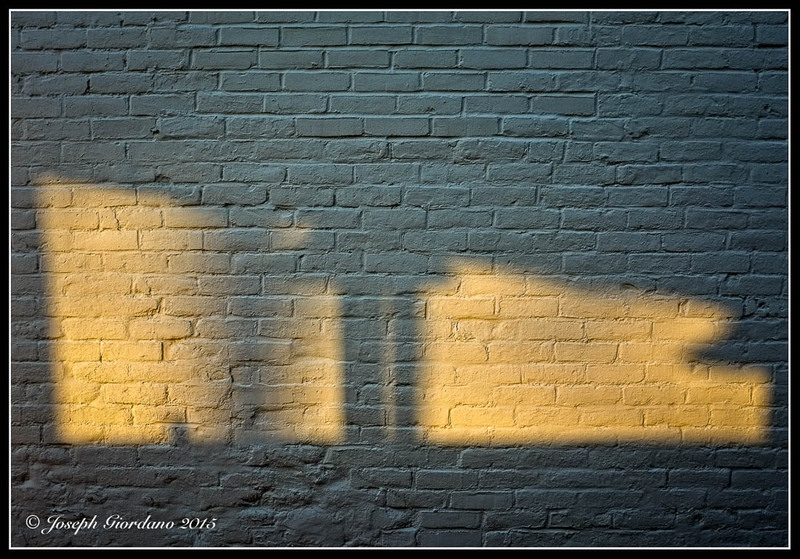 I was walking between two buildings when I noticed this golden light shining through the adjacent buildings windows onto this gray brick wall. Yep!! Totally photo worthy. Love the light! Haha do you think I should rename it Sirpa ? Such a cool shot Joe, almost like sunglasses! This photo has so much texture and DIMENSION, Joe. To me it evokes a peaceful mood.